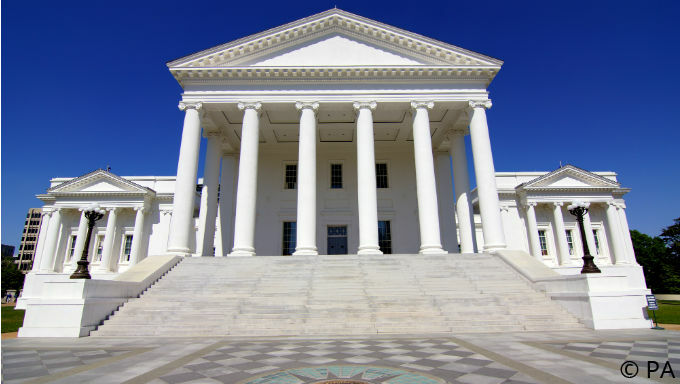 Virginia passed one of the most significant pieces of gambling legislation of any state in the country this year, a watershed moment not just for a state long opposed to gaming but for the nation as whole. It would allow not only in-person casinos a full array of gaming offerings, including sports betting and poker, but also permits regulated online sites to offer a full slate of these games as well. If enacted as written, Virginia would go from one of the most limited gaming markets in the country to one of the most robust. While gambling supporters have celebrated an expansion that seemed impossible just a few years ago, the actual machinations of the bill are far more complex than headlines may indicate. Though signed into law by Gov. Ralph Northam last week, SB 1126 does not immediately open the commonwealth’s first-ever casinos or permit online gaming purveyors. It actually prevents licensing these entities until at least July 1, 2020 – and may not allow them legal entry into the Old Dominion at all. Virginia is one of a small, dwindling number of states without legal casinos. With the exception of the state lottery, the commonwealth has resisted nearly all forms of gambling for several hundred years. That resistance began to thaw slightly last year. As a means to revive its lone commercial racetrack, Northam signed into law a measure allowing historic horse racing at the shuttered Colonel Downs Racetrack. Decried as a de facto slot machine by its detractors, Virginia became one of just a handful of states with historic horse racing, which allows players to bet on a recording of a previously conducted race via a terminal. Historic horse racing was legalized a few months before the May, 2018 decision by the Supreme Court to strike down the federal ban on sports betting. This sparked a wave of gambling legislation proposals in statehouses across the country, including Virginia. Spearheaded by New Jersey, other Mid-Atlantic and Northeastern states led the movement to legalize sports betting. Delaware and West Virginia both took legal bets in 2018 and Washington D.C. is set to do so sometime this year. The regional pressures were not lost on Virginia lawmakers, several of whom championed gaming expansion measures during the commonwealth’s 2019 legislative session. Elected officials introduced a flurry of proposals in Richmond ahead of the start of the session in January, largely touted as a means to stay ahead of regional competition. But in Virginia’s short 2019 legislative calendar, most of the bills had died by the session’s conclusion in February. The exception was SB 1126, a sweeping compromise measure intended to appease both gambling proponents and skeptics. In doing so, it laid out the path for a massive gaming expansion – but also created significant hurdles along the way. Just because the bill passed this month, Virginia residents and guests won’t be able to place a legal sports bet before on the Virginia Tech Hokies or Virginia Cavaliers before the end of the 2019 NCAA Men’s Basketball Tournament – or even either school during its respective 2019 football seasons. The bill does not legalize gambling. Its only immediate action is to commission a review of casino gaming laws in other states. A committee will create a report and present their findings to members of the General Assembly by Dec. 1, 2019. Obviously, the committee’s findings remain to be seen, though it will likely note that eight states started taking bets in 2018, D.C. as well as Arkansas and New York will do so in 2019 and up to a dozen more could by 2020. It will also monitor the implementation and regulatory process each took, which have varied in each jurisdiction. Regardless the report’s findings, the bill requires another vote by the General Assembly in 2020 before it can come into law. A negative report, or a change in the minds of the state legislature, could lead to a “no” vote and the end of legal gambling before it even begins. Lawmakers will vote on the bill for a second time in January 2020 at the earliest. If passed, another series of hurdles remain. In-person Casino gambling can only begin in jurisdictions that approve the casinos via citizen referendum. No potential host site can offer that referendum before Jan. 1, 2020 and the government can’t offer a gaming license until July 1, 2020 at the very earliest. These deadlines likely won’t delay the process as ballot measure won’t likely come before voters until the November 2020 elections at the earliest. Even if approved, casino gaming won’t happen right away: the state has no physical casinos, and then need years of financial and logistical planning, not to mention physical construction times. Even then, these casinos can only be offered in a small set of jurisdictions. A potential host city must meet one of four criteria points in order to even introduce the voter-approved gambling referendum. One of those is a population of more than 200,000, which only applies to five cities in the commonwealth. Otherwise, the bill looks to direct casinos to a small set of economically distressed areas with higher-than-average unemployment rates and/or significant population losses. This includes the city of Bristol, which is located on the commonwealth’s southwestern border with Tennessee. Bristol, which runs along a Tennessee city with the same name, has publicly pushed for a casino to counter economic issues and attract visitors from across the border. The bill would also allow a casino on federally-recognized Native American land that meets certain other taxation requirements. This provision was catered specifically for the Pamunkey Tribe, which has sought approval for a casino on its land near the southeastern corner of the commonwealth. This move by the General Assembly would pave the way, at least at the state level, for such a facility. All this means physical casino gaming is still years away, if it comes at all. Online gaming may not come much more quickly. The bill is several thousand words long but only mentions “online gaming” once. It gives no specifics on key restrictions essential to implementation, including age and access requirements, provider eligibility and a host of other issues. That would almost assuredly require another act by the legislature for further clarification, which could lead to further complications and delays. Will Virginia Have Legal Gaming? Despite these self-induced obstacles, Virginia gaming has good odds to pass, albeit a few years from now. The first step is a second passage by the General Assembly in January 2020. All 40 seats in the state Senate as well as all 100 in the House of Delegates are up for election in November 2019, meaning the General Assembly’s makeup could be radically different than the one that approved the current gaming provision this month. However, if there is a drastic shift, it seems likely to only benefit gambling supporters. Republicans had dominated the state legislature for decades, but shifting demographics in the commonwealth have revitalized the Democratic party, which was literally a name drawn from a bowl away from taking control of the lower chamber after the 2017 elections. It seems Democrats are poised to at the very least hold if not expand their gains in both chambers later this year, likely replacing Republicans who have long been more resistant to gambling. Assuming Northam continues to survive political scandals that led to calls for his resignation, gaming supporters will continue to have an ally in the governor’s mansion as well. Political predictions are never a sure bet, but it appears passing the same bill in 2020 as it did in 2019 won’t be a problem for the General Assembly. That still means that the cities eligible for casinos will need approval from their voters. However, that shouldn’t be a problem as these cities were among the loudest voices championing the bills and the legislation was specifically crafted to allow them casinos. That still means casinos may not break ground until 2021 and a timeline for online gaming remains even less certain. Still, Virginia casino gaming has taken a major step forward that, if everything goes as projected, could spark one of the most dynamic changes in gambling infrastructures of any of the 50 states. If Virginia welcomes gambling, even more states could be more willing to do the same.